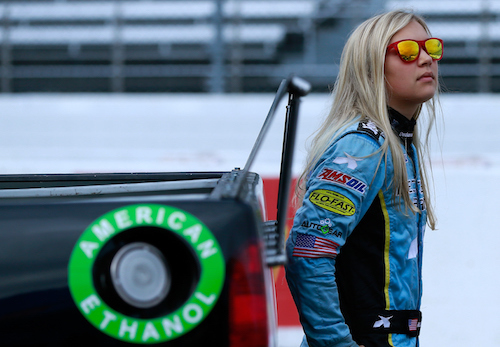 DGR-Crosley has expanded Natalie Decker’s 2019 NASCAR Gander Outdoors Truck Series racking docket by six races. She originally was slated to drive the No. 54 DGR-Crosley Toyota in 11 Truck Series races this season, but the team has extended that scheduled to 17 of the 23 races that made up the 2019 Truck Series schedule. Decker has driven the No. 54 in three races, so far, this season, posting a best finish of 13th in her most recent race at Las Vegas Motor Speedway. Her 14 remaining races include Dover (Del.) International Speedway on May 3, Kansas Speedway on May 10, Charlotte (N.C.) Motor Speedway on May 17, Texas Motor Speedway on June 7, Iowa Speedway on June 15, Gateway Motorsports Park on June 22, Chicagoland Speedway on June 28, Kentucky Speedway on July 11, Pocono Raceway on July 27, Bristol (Tenn.) Motor Speedway on Aug. 15, Las Vegas Motor Speedway on Sept. 13, Martinsville (Va.) Speedway on Oct. 26, ISM Raceway on Nov. 8 and Homestead-Miami Speedway and Nov. 15.